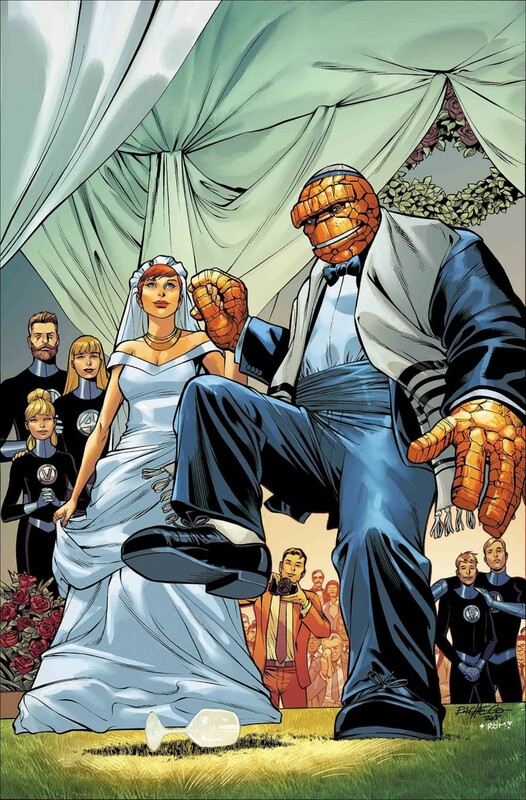 Come and celebrate the impending nuptials of the Thing and Alicia Masters with a Ladies Night Out as only the First Family of Comics can do it! Guest-starring She-Hulk, Medusa, Crystal and more, it’s the bachelorette party Alicia never expected-and one whose ribaldry will be interrupted by the arrival of a Surprise Super Villain! (And no, we don’t mean Johnny Storm!) Meanwhile, the Thing has an unexpected meeting with his future father-in-law, the Puppet Master! Plus, Hembeck! The Fantastic Four family tree! And more!